What is the element Lithium as on the Periodic Table? A soft, silvery, highly reactive metallic element that is used as a heat transfer medium, in thermo-nuclear weapons, and in various alloys, ceramics, and optical forms of glass. Lithium reacts with Oxygen to form monoxide and peroxide and reacts easily with Hydrogen at almost 500ºC (930ºF) to form lithium hydride. The Atomic Number of this element is 3 and the Element Symbol is Li. Lithium comes from the Greek word lithos which means "stone" because lithium was thought to exist only in minerals at that time. Elements can be classified based on their physical states (States of Matter) e.g. gas, solid or liquid. This element is a solid. Lithium is classified as an "Alkali Metal" and located in Group 1 elements of the Periodic Table. An Element classified as an Alkali Metal is a very reactive metal that does not occur freely in nature. Alkali metals are soft, malleable, ductile, and are good conductors of heat and electricity. Nearly 75% of all the elements in the Periodic Table are classified as metals which are detailed in the List of Metals. Interesting information on the Medical Uses of Lithium, Health and Treatments. Lithium carbonate is a psychotropic drug used to treat recurrent attacks of manic-depressive illnesses and has helped correct sleep disorders in manic patients, apparently by suppressing the rapid eye movement phases of sleep. Therapeutic concentrations of lithium have no observable psychotropic effects on normal individuals. Lithium was discovered by Johann Arfvedson in 1817 when he was analyzing minerals from the island of Uto in Sweden. The element was isolated by W.T. Brande and Sir Humphry Davy. 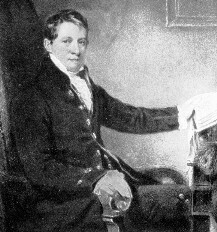 Sir Humphry Davy (1778-1829) isolated Sodium, lithium, Potassium, barium, strontium, and Calcium by means of electrolysis. Davy also demonstrated the elementary nature of Chlorine, invented the safety lamp and discovered the stupefying effects of nitrous oxide. Check out Lithium on the Periodic Table which arranges each chemical element according to its atomic number, as based on the Periodic Law, so that chemical elements with similar properties are in the same column. Our Periodic Table is simple to use - just click on the symbol for Lithium as on the Periodic Table for additional information and for an instant comparison of the Atomic Weight, Melting Point, Boiling Point and Mass - G/cc with any other element. An invaluable source of facts and information as a Chemistry reference guide. The Standardised Periodic Table in use today was agreed by the International Union of Pure Applied Chemistry, IUPAC, in 1985 and now recognises more periods and elements than Dimitri Mendeleev knew in his day in his day but still all fitting into his concept of the "Periodic Table" in which Lithium is just one element that can be found. These articles contain facts and information relating to Lithium and each of the other elements including the Periodic Symbol, group, classification, properties and atomic number which is often referred to as the Periodic Table Number. Test your knowledge of chemistry and the Periodic Table by completing the Element Symbols and Atomic Numbers on our Blank Periodic Table. Chemistry students will also find a helpful section on Chemical Formulas.